Is your perennial garden looking a little overcrowded? Are your plants producing fewer flowers? Has one plant taken over the bed? Are plant clumps flopping from the center? If so, it’s time to do some digging, dividing and replanting (or sharing with friends, family, or the SouthEast Wisconsin Master Gardener perennial plant sale!) 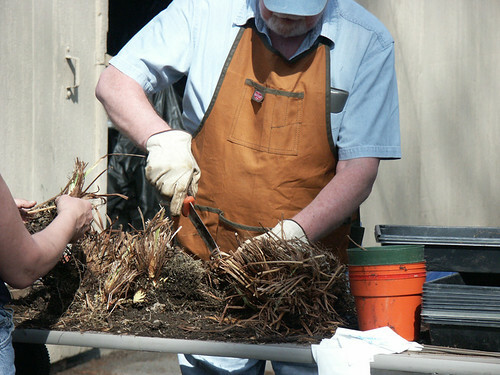 Let Master Gardener Volunteer dig team members show you how and when to best dig your plants, the proper way to divide different types of plants and root systems, which tools are most effective and efficient to use, and how to properly plant your perennials. Bring your garden gloves and outdoor clothing. If weather permits, we will “play in the garden” first, then return indoors for the remaining class time.